Your guidance influences the character your child will one day show at work and what kind of spouse he or she will be. You can’t avoid the fact that your child won’t always like your decisions. But it is not our job to be our children’s best friends, right? It is rather by God’s grace to prepare them the best we can for the life that lies ahead of them. Now and in eternity. We need to be our children’s conscience until they develop one and learn to listen to their own conscience when we’re not there. Discipline plays an important role in this process. It teaches the child whether something is right or wrong. And if it is wrong – to what extent. Andalene Salvesen, international parenting guru and speaker, also known as Super Granny, warns: “Parents often avoid letting their children carry the consequences of their misdemeanours because it is too painful for them to see their children “suffer”. We must realise that what is better for the child on the long run is more important than the discomfort the child has to endure now. The most unselfish thing one can do is to put your own feelings aside and do what is best for somebody else. Children need to learn how to take responsibility for their homework, their bedrooms, their belongings and their chores. It creates good work ethics and self-confidence which will later on be of utmost importance. It will also prevent them from becoming lazy adults! Don’t take over when your younger child doesn’t to his chore perfectly, for example making his own bed neatly. What is important is your child’s progress, not perfection. Children must be allowed to make their own choices every now and then. With the younger ones it might be something simple, like choosing which shirt to wear. It practices decision-making. It is parents’ duty to protect their children against those situations they are not emotionally mature yet to handle. Therefore it is our responsibility to wisely choose the experiences and things they get exposed to. Especially regarding what they see on television, DVD’s, music they listen to, Internet, computer games and social activities. Clear boundaries give a feeling of security and remove any uncertainty about which road to take. There are times when parents must show out the possible negative consequences of certain actions, but not forbid it. Experience is often the best teacher. Allow your children to make age appropriate choices and make age appropriate mistakes. Let them carry the consequences, have empathy and love them. Then help them to re-evaluate the choice and encourage them to persevere. Sometimes we need to remind ourselves not to expect total perfection from our children. Allow them to make mistakes and don’t judge them. Don’t compare them with other children and allow them to be the unique persons they are. Above everything children need their parents to give them a huge hug every now and then and hear how their parents (especially the dads!) say “I love you”. 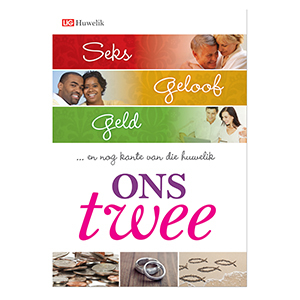 Sources: Courageous Parenting by Jack and Deb Graham, Christian Art Publishers (2006); Kweek kinders met karakter by Hettie Brittz, Carpe Diem Media (2007); Ouerkuns by Ken en Elizabeth Mellor, Maskew Miller Longman (2001); Ouerskap wat werk by Arnold Mol, Struik Christelike Uitgewers (2007), Raising your children for Christ by Andrew Murray, Whitaker House (1984). This article was originally published in Afrikaans in the June 2010-edition of LiG-magazine (www.lig.co.za). Published with permission. © Copyright reserved.